A seemingly harmless way to sip a beverage - the plastic straw is typically used once and discarded without a thought. But now businesses and patrons are thinking about the environmental damage done by plastic straws, bags and other single-use plastic products that often escape landfills and find their way onto the beaches and into the ocean. The plastics are not biodegradable and are harmful to birds, sea turtles and other marine life that consume them. The “Be Straw Free” Campaign started in 2011 by a 9-year-old Vermont boy who did research by talking to straw manufacturers. It’s estimated that Americans use 500 million plastic straws every day. Many of the straws reach the ocean through human carelessness. They’re left on the beaches or blown out of trash cans, vehicles or boats. Even when discarded far inland, plastics can easily find their way into the oceans via gutters, storm drains, canals and waterways that act as conduits to the ocean. Sunlight and wave action break the plastics down into rice-sized bits that are consumed by marine life and become part of the food chain. 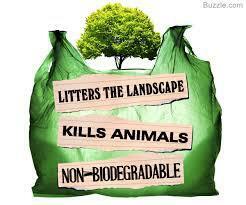 It becomes a plastic soup ingested by smaller animals that are then ingested by larger animals. Many animals consume plastic because it’s covered by an algae coating, so they don’t realize it’s not a food substance. Scientists are trying to figure out how long it takes for plastic to degrade in the ocean and what happens to its toxins as the breakdown occurs, but that process is still being investigated. Cities in Palm Beach County are dealing differently with the plastics issue. Jupiter is emphasizing public education instead of fining businesses for use. 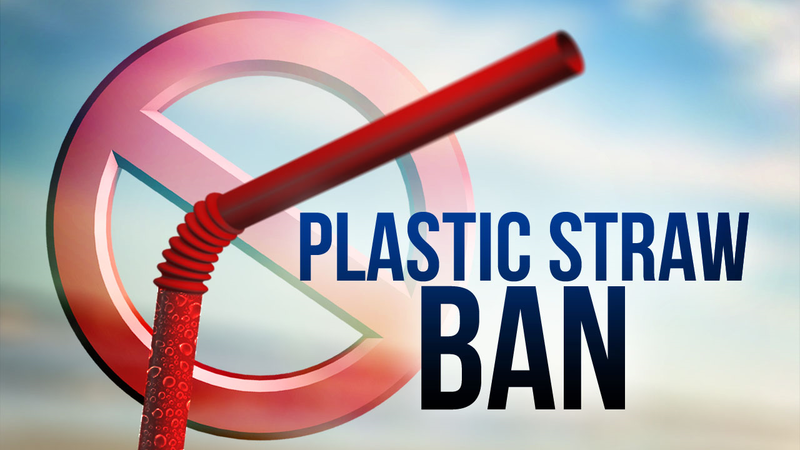 Delray Beach is considering an ordinance requiring restaurants and other beverage purveyors to supply plastic straws only upon customers’ request. Some restaurants have replaced plastic straws with paper straws. Palm Beach would like to ban single-use plastic bags, but, on the advice of their Town Attorney, the board is waiting on the outcome of a lawsuit filed against the City of Coral Cables by the Florida Retail Federation and the owner of a 7-Eleven. In their 2016 lawsuit in state court, the Florida Retail Federation and the 7-Eleven owner alleged that Coral Gables’ polystyrene ban violated the state legislature’s prohibition on local bans. A Miami-Dade County Circuit judge dismissed the suit, deciding the state’s prohibition was “unconstitutionally vague” because it lacks the necessary standards and guidelines for implementation, allowing the state to do nothing indefinitely. The statute provides no guidance or deadlines with respect to the adoption or rejection of the environmental recommendations, leaving local governments and state agencies in a state of “indefinite limbo.” The case is pending before Florida’s 3rd District Court of Appeal in Miami. Many municipalities are not waiting on the Florida 3rd District court decision. In May 2017, Coral Gables became Florida’s first city to ban plastic bags after a judge ruled in favor of the city’s ban on polystyrene foam food-service products.